Maize Maze, Windows of Hope, Open Studios at Fort Point and a Robot Lobster in Nahant. 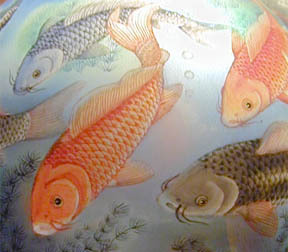 Fishes from China 2000, only recently paid off. Just in time for the dentist!